The Fralin Museum of Art, U.Va. : Antoninianus of Postumus, Treveri, 263-265. 1991.17.237. 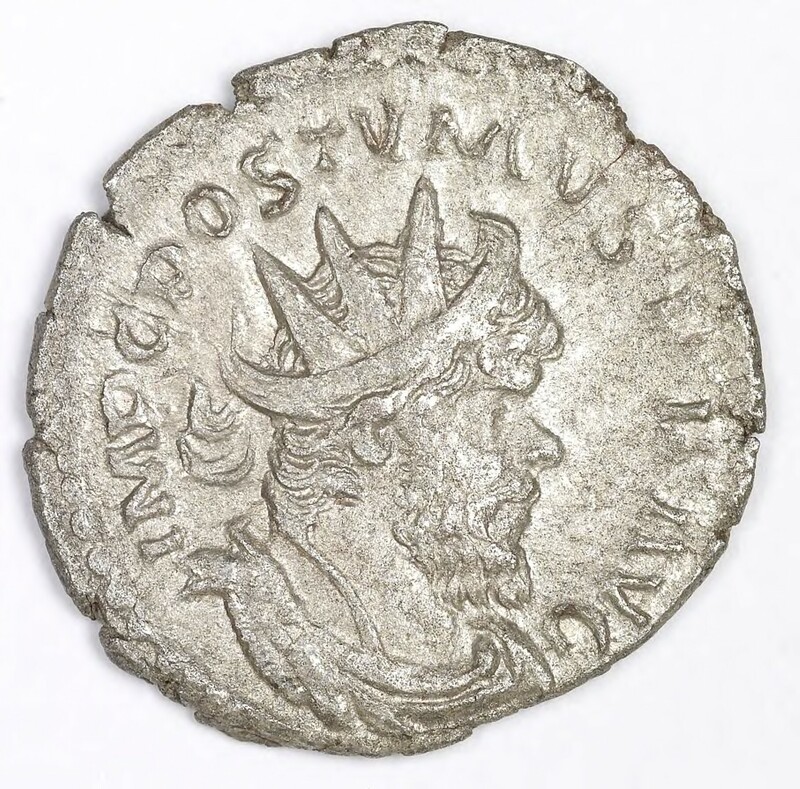 Antoninianus of Postumus, Treveri, 263-265. 1991.17.237. 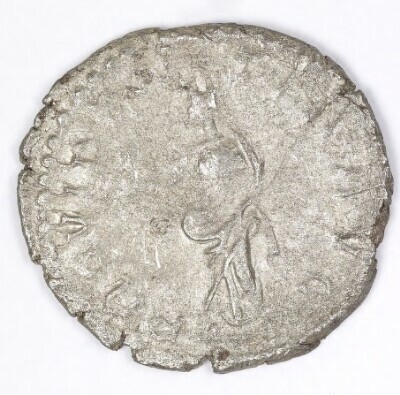 Vorderseite: IMP(ERATOR) C(ASSIANVS) POSTVMVS P(IVS)F(ELIX) AVG(VSTVS) - Radiate head, right; draped and cuirassed. Rückseite: PROVIDENTIA AVG(VSTI) - Providentia standing left, holding globe and scepter. 1991: Three hundred and two coins were acquired in 1991 from a cross section of 1,025 coins belonging to the Worldwide Treasure Bureau. 1983: The Oliver's Orchard Hoard was discovered near Colchester, England (ancient Camulodunum) in 1983.